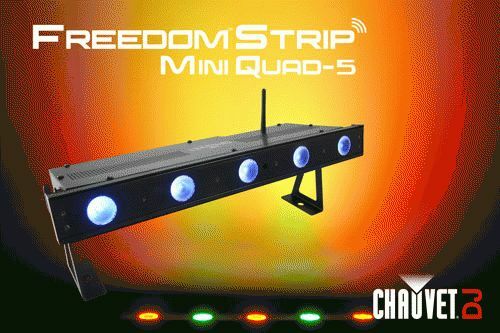 CHAUVET® DJ expands the highly portable, 100 percent wireless Freedom™ series and adds four new wash lights: Freedom™ Par RGBA, Freedom™ Strip Mini RGBA, Freedom™ Par Quad-5 and Freedom™ Strip Mini Quad-5. 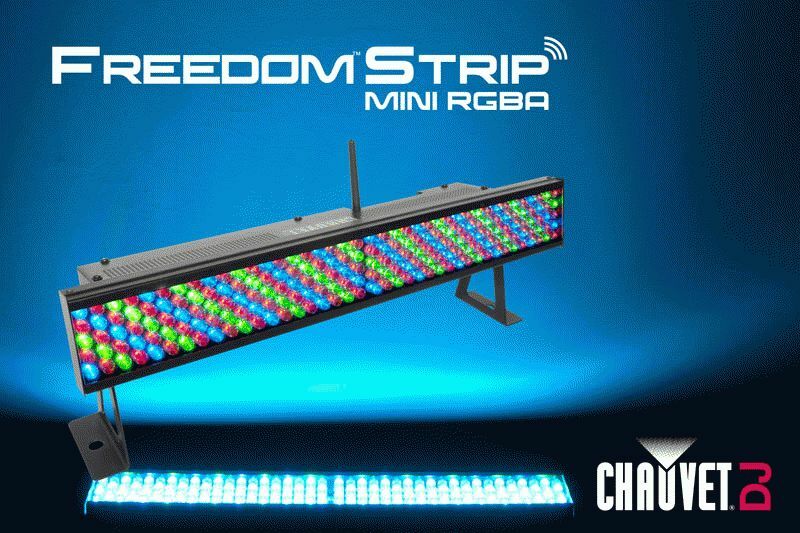 To emit tight beam washes that span the length of decorative columns as well as from the floor to high ceilings, Freedom™ Par RGBA includes 180 (10 mm) RGBA LEDs, while Freedom™ Strip Mini RGBA includes 200 (10 mm) RGBA LEDs for rich colors and pastels. 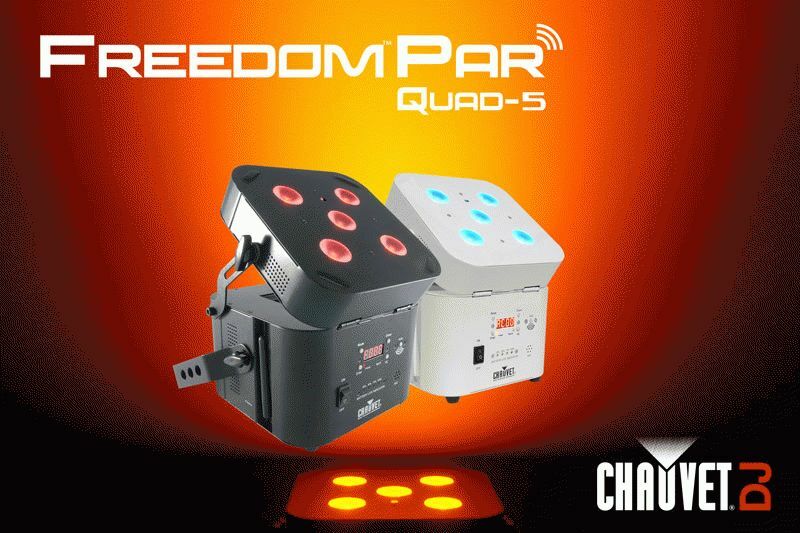 Additionally, Freedom™ Par Quad-5 and Freedom™ Strip Mini Quad-5 are both fitted with five 5-watt, quad-color LEDs for a bright, powerful output with pristine color mixing and smooth, even washes. 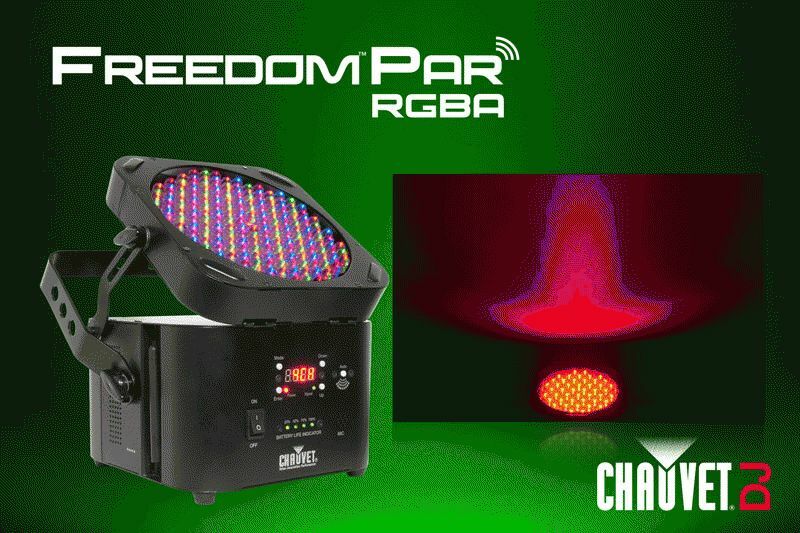 In addition to the standard black housing, Freedom™ Par Quad-5 is also available in a white casing — making it an ideal fixture for wedding venues. Offering plenty of flexibility to decorators, party planners and entertainers on the go, these compact, lightweight wash lights eliminate the need to run cables and can be placed almost anywhere throughout the venue. By eliminating the need to run messy cables, the Freedom™ series allows for quick and easy set up and teardown while providing a safe environment for event guests and staff without tripping hazards. Each fixture includes a rechargeable lithium-ion battery that runs for up to 20 continuous hours, an IRC remote for easy point-and-shoot wireless control, a built-in, D-Fi™ transceiver for wireless DMX communications and wireless master/slave mode. To simplify control, use the built-in, easy-to-read LED display to create precise colors and access automated programs without the wireless remote or DMX controller. Or for a second form of wireless non-DMX control, use the included IRC remote. To program scenes, pair the Freedom™ series with a DMX controller and use 4- or 5-channel DMX mode to create customized looks. For added convenience, Freedom™ Charge road cases easily charge, store and transport up to four Freedom™ fixtures and are available for both Freedom™ Par and Freedom™ Strip Mini.